With heartfelt sadness, we announce the passing of Frances Kathleen Bunting (Lowe) of Claresholm AB. 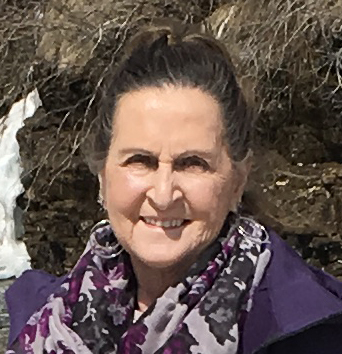 Fran passed peacefully on Nov 29, 2018 at Foothills Medical Centre, Calgary AB, after a brief battle with cancer. Fran was born in Lethbridge AB, July 20, 1943 to parents Harry and Addie Lowe. Fran’s greatest joys in life were spending time with family and friends, winters in Arizona, summers tending to her yard, always working on crafts and faithfully cheering on her beloved Edmonton Oilers. She is survived by her loving husband Bill, sons; Jeff (Karen, Chesa, Karlee, Nick and Ethan), Jason (Michelle, Mathias), sisters Diane and Linda, brothers; Butch (Audrey), Merl (Cheryl), and George, step daughters; Laurie (Grant, Zach, Breanna) and Tammy (Lee, Josh, Taylor) and numerous nephews, nieces and cousins. Fran is predeceased by her parents, sister Jackie (Ron) and brother in law Don. At Fran’s request there will be no Funeral Service. In lieu of flowers, donations to the Salvation Army would be appreciated.